Man, am I excited about this one! This addition of ONe-On-1 features the man himself, Sterlen Roberts! He's back with a brand new sound, and a new mix-tape entitled, "Beats Piano Me." I recently had the chance to catch up with Mr. Roberts to get the scoop on his latest projects, and to find out a little more about him on a personal level. Click the link to check out this exclusive ONe-On-1! "Thank you so much for speaking with me Mr. Roberts, lol! And thank you for the copy of "BPM"! I can't wait to listen to it! As you know, I have a lot of questions for you, so let's get into it..."
Yes!! Yes!! I love your Website!!! Thank you, thank you, lol! So, when did you realize that music was something that you would like to pursue professionally? When I first heard my song on 94.9,and I was still in high school. I think everyone took me seriously after that. So, you must've been pretty young starting out if you had a song on the radio by the time you were in high school! Who are some of your biggest influences, in music and life as well? Hm... Prince, Stevie Wonder, Jay-Z, and people I know, like Kurt Carr, Jamie and Walter Hawkins and my father. It's funny, I was 13-years-old in the studio with Jamie Hawkins and a dope cat named Zone. Watchin them cats get down, that's where I picked up sequencing beats. My father introduced me to Kurt Carr on an airplane, that's when I got into his music and style. And last but not least, ERIC HUDSON is another influence!!! Man this cat is raw! We have the same background, he just has a long list of hits and I don't (hahahaha). I dig his style big time. He did Kanye West's "Flashing Lights." If I had a choice of who I would want to work on my album with, it would be Stargate and Eric Hudson, who reached out to me once after my XXL spread, however, I never really got in touch with him. I'm sure it'll happen if you keep pushing! I hope you didn't lose that contact info though lol! You mentioned that your Father inspires you, does your family support you in your decision to pursue music? Yes. They just want me to be careful. It's a tough industry. They know I've sacrificed a lot, they just don't want me to lose everything for it. For example, I lived with the R&B group "Jodeci" for a few years, and I guess they were scared I would get caught up in crazy L.A. stuff. I'm really focused, and too strong for the fast life. They raised a strong kid. That's good, and you're right! You definitely have to be strong to survive the music industry. Now, I know that you come from a Christian background, and I always ask this question to anybody that does...What role does GOD play in your life? Well, I believe that everyone must develop a personal relationship with him, people get so caught up in church they forget why they are there. Very true, that is by far the most important thing to remember. It should always be about God, not the building that you're in, or the politics. So, let's take it back to the music for a minute. I know that you've just finished up your latest mix-tape "BPM." What made you do a mix-tape as opposed to an album? Well, I wanted to be in control of my music for once . This mix-tape is 100% ME. Written, produced everything every key, every instrument. This is very special to me. I chose the artist's I wanted to feature. 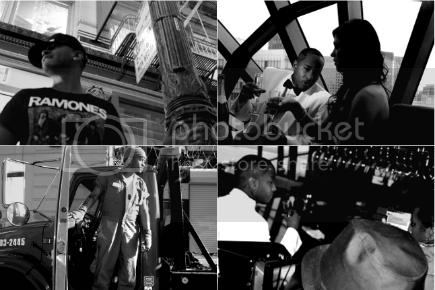 This whole process was nothing but great energy, including filming my own "live" music video. Since I'm still signed to MTL records, legally, I can't drop an album, so to avoid sample clearance and label issues I'm dropping it as a mix-tape, basically giving it away. I have no beef with my label at all we are cool, and I'm sure they understand I have to stay creative. I breathe this stuff ya know, hahahaha. Lol, indeed you do! How is BPM different from any of the other music you've put out? Everything else I put out has always ran through someone's opinion of some sort. BPM is all me, and the bus did not stop to pick up anybody, hahahaha! LOL! Did you have the chance to collaborate with any other artists on this mix-tape? AB, Scott Rose, Savadra, Micheal Jeffries, Anikol, Adrian Battle!!! And, Lyrica Anderson. Man these are all dope artists! Wow, so you have a lot of people featured on BPM! Actually, "LivingTru" will be featuring Mia Zuniga really soon! Which track is your favorite, and why?A track called F-Train. Its just an AMAZING track that I wrote for Alicia Keys. I met her but, I didn't give it to her. I wanted to keep it, I'm so stupid hahaha! Definitely not! Lol I heard F-Train, and I don't blame you for wanting to keep it! Lol, that song is crazy! I just have a couple more questions for you, and I'll let you go. What has been your biggest moment thus far? It's a cross between my first video shoot years ago in L.A. with director Mike Taylor, Sheldon, Jesse Terro, and a few others, it was BIG!!! Or, it was hangin out with Beyonce Knowles. Haha, I love how you just casually threw Beyonce Knowles out there, lol. So, as we come to the close of this interview Sterlen, I just have one more question for you. Do you have anything big and exciting coming up in the near future? YES!! My "live" music video!!! My new mix-tape "Bpm" that I've been working on for about 2 years....And most of all I'm doing a big concert in San Francisco. There you have it folks! Make sure you get the mix-tape when it drops, and also be sure to check back at LivingTru.com for more updates on Sterlen Roberts! Sterlen, it's been a pleasure speaking to you, thank you for your time! 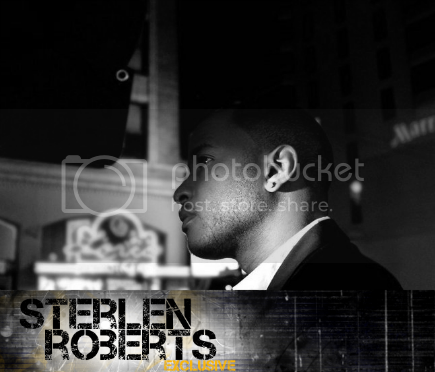 Be sure to connect with Sterlen Roberts on all of his social networks! Check out Sterlen's new video "LIVE" Written, Produced and Edited by the man himself!